Back to work on my new fossil pieces, I’ve realised that around 10/11 in the morning, hunger lures me away from the bench and down two flights to the kitchen, full of lovely distractions. The solution: make like a Scottish child, and pack my piece (snack)! 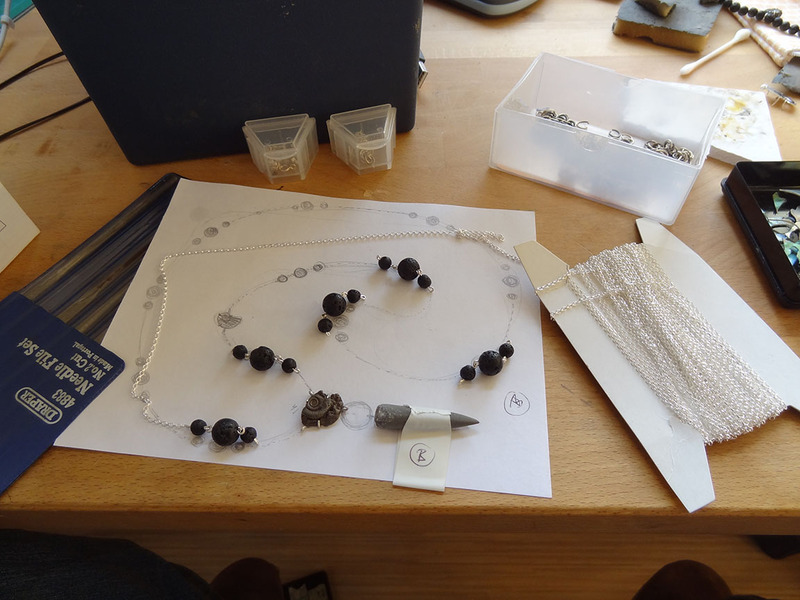 I’m working ona lava-bead embellished necklace to matched the survivor from the unfortunate incident on Saturday, various setting styles for a whole bundle of ammonites, and caps for some belemnites. Lunchbreak’s over, back to the grindstone! Next PostNext I have the loveliest advocates!